There has been a lot of upheaval in the world of SEO over the last month or so. 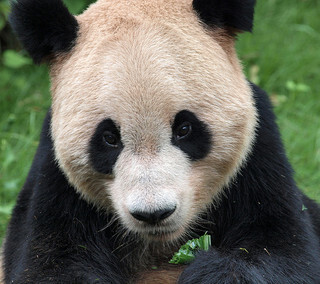 Google has continued to roll-out Panda, its search quality update but has also announced an “over-optimization” update that has site owners panicking all over the web. If you have lost search rankings in the last couple of weeks, then now is the time to learn to tell your Pandas from your Penguins. Penguin is the codename given to the over-optimization update (which many are calling a penalty). If you have lost lots of rankings or think you may be hit by an over-optimization penalty from Google, the place to start is to look at the timing of the drop. Does it coincide with the dates of any of the updates? Because which update it coincides with will give you great clues as to what caused the drop and what you need to fix. Panda has been rolling out for over a year now so there is plenty of information on the kinds of sites that are getting hit. The over-optimization penalty, which has had everyone in uproar is, according to Google, only affecting 3.1% of sites but you wouldn’t know it by the reaction. Matt Cutts was at pains to re-focus coverage of this update and point out that they are targeting web spam rather than SEO. 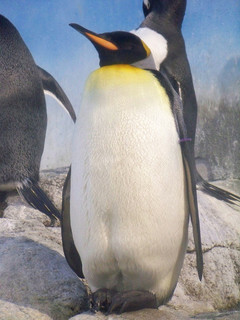 Initial indications are that Penguin is hitting sites with poor link profiles. You know those scalable, low quality, easy to get links we’ve been railing against? We’ll try and post an analysis of the factors being targeted on Monday. Matt Cutts has a particularly useful video today on how Google search works. The process of how Google crawls, indexes and ranks is useful to understand. At each step there are challenges for the search engines and for websites looking to maximise exposure. This is mostly a process video about how things work rather than what will make you rank but there is value in understanding this stuff. He explains changes over time in the crawling process as well as the importance of PageRank for crawl priority. He goes on to give a broad outline of a crawling system favouring important (high PR) and fresh content. Matt gives a basic explanation of an inverted index and a basic process for starting to select the documents relevant to any given query. He doesn’t go into great detail on how Google ranks results but then you wouldn’t expect him to. I have very little time for SEOs who quote the 200 ranking signals thing as though we know all the answers and you can never figure them out. It’s really important though to understand that this is NOT all or even mostly about Page Rank. Yes Google is looking to serve sites and pages with reputation but it needs to be the most relevant document with reputation. This is just a quick note to let readers of the blog know that we are running a training day in Dublin on April 19th 2012 at the Burlington. It’s a one-day training course covering the fundamentals of SEO. What that means in practice is that we start from the basics but cover some pretty advanced concepts through the day. Helping participants form the foundation of their SEO strategy. That includes touching on areas like content planning, content marketing and social media. If you have a strong interest, you could do this course as a beginner. If you have some experience with SEO, it will still be very worthwhile. The course is suitable for site owners wanting to do their own SEO, or those who may choose to work with sub-contractors but need a better understanding to get that right. It would also be suitable for designers or coders who understand the importance of SEO and the need to build it into projects early. In 2012, things are moving in the search world, particularly with Google. Many sites and most contractors are still chasing last year’s ranking factors and aren’t doing themselves any favours. You can find more details of the training day and an outline of the course content is available on request. Click here for more details. You can of course contact us by all the usual means, if you have any questions. Inbound links pointing to your site are a crucial part of ranking in Google and other search engines. That makes building links part of what every site owner needs to do. You can divide link building down into two basic areas, links that you build and links that you attract. Built links are gained by actively going out and adding or requesting a link from another site. In this post, we’ll discuss attracting natural links through content strategy. Strategically attracting links through content, design, relationships and integrity can transform the success of your site. You could divide the links that you build down further. Some built links are directory submissions, some are done through finding sites that allow you to add content and don’t notice the links. Some are done by simply contacting people and asking for them. Others are gained from link networks like the one Google just delisted. I have nothing against building links. There should probably be built links in every link profile. There are high-end link builders who put great time and effort into effective link building strategies. There are good built links and bad ones. Having got that out of the way, I want to discuss the advantages of attracting links through content strategy rather than building them through tricks. A few weeks ago we covered news from the Wall Street Journal in their article Google Gives Search a Refresh. Given that site owners might be expecting earth shattering changes and potentially destructive effects on their rankings and traffic, I thought I’d take a look at what we might expect. The first two sound pretty scary and this is where a lot of the debate has focused for the last few weeks. Semantic search basically refers to trying to understand the meaning behind terms, their context and searcher intent, as opposed to just understanding keywords and looking for matches. The named entities bit is suggesting that Google will change what it presents for certain queries. Instead of just looking for keyword matches on websites, it will consider it’s database of named entities (people, or places or things) and return information on that entity. BuildMyRank.com has admitted that the majority of its pages have been de-indexed by Google. There is much speculation about how many other similar sites have been hit. That Google is very much on their case can no longer be called speculation. There are rumors that other networks have also been hit but none have come out saying so, outside of BuildMyRank.com. What is funny is that they said, “in our wildest dreams, there’s no way we could have imagined this happening.” And I am thinking, wow – people really think this will work in the long run? So, if link networks and other scalable shortcuts and programmes are the basis for your link building. In 2012. What are you thinking? Reportedly tweeted by Matt Cutts himself and the first announcement of its kind made via twitter, there are interesting discussions going on about the effects of the refresh and whether or not it is actually Panda related! Kara Swisher at AllThingsD reports on plans to layoff thousands of staff at Yahoo! Internal search is notoriously bad on Facebook and they appear to be making a big effort to make improvements. Bloomberg Business Week look into the possibility that they will eventually move into the global search market. Before turning to the court last October, the man asked Google to delete certain words from the feature. Google refused on the grounds that the suggested words were being selected mechanically, not intentionally, and thus do not violate his privacy, the lawyer said. This must surely be the cop-out of all cop-outs. Monitoring is vital to a viable Internet marketing strategy and any SEO campaign. Now that you Know Your Goals, have done some Keyword Research and created an SEO Friendly Website, it is time to put some monitoring in place. Monitoring your traffic, your site’s performance, your search positions and those of your competition allows you to make decisions that gain more traffic and sales. It allows you to test and to measure the results of tests. To improve on what is working and to do less of what is not working. Probably the most common monitoring is Google Analytics. Google Analytics is a freely available analytics package that allows you to track visitors to your site. Monitoring search positions is important. Keeping a periodic record of ranking for your most important terms is also good. You need to know what is working and what isn’t and that means having a record of changes that you make and having a record of your rankings over time. With personalisation and social becoming more and more a part of how search engines work, it is not really viable to just check your rankings on your machine by going to Google. There are many 3rd party rank checkers available. They range from free to around €60 a month (usually as part of larger SEO and marketing toolsets). As well as saving you time and effort in checking your results, these tools should avoid you getting a false indication of where you are, based on personalisation. Monitoring is vital but beware of getting obsessed. If you find yourself checking rankings every hour or so and looking up Google to see if the changes you made have taken effect, you will be wasting your time. Set up proper monitoring. Weekly or monthly is enough for most cases. You may use your monitoring tool to check up more often to monitor a specific change from time to time but don’t get stuck wasting your day. That time could be used getting links or generating fantastic content or fixing problems on your site. B) the impact that links and social reach are having on your search rankings. Just like with links, more and more social monitoring tools are popping up all the time. SEO is an ongoing process and monitoring from the start is central to getting that process right. This post is part of our 12 Post SEO Guide, an ongoing series. If you would like to keep up to date you can follow the blog through RSS or follow us on Twitter. Google Places Ranking Factors – You need 5 reviews! Having the search category in your business name is a strong ranking factor. Make sure your targeted search categories (keywords) and location appear in the “at a glance” section. The mere presence of a business description does not improve rankings. Having the search category in your business description does. Having an average review score of less than 1 hurts your rankings. Increasing this to just below 5 makes for some but very little improvement. Reaching 5 Google reviews significantly improves ranking. You have to get to 100+ for the next significant gain.!!! Moral: Don’t write anything without keyword targeting. Hustle for 5 reviews and then don’t panic about competitors who have 40. Barry Schwartz transcribed this from the published audio of a Search Engine Land panel discussion called: Dear Google & Bing: Help Me Rank Better! About the only thing you can say with certainty about search is that it will be different tomorrow and a recent WSJ article points to some, apparently, radical possibilities being looked at by Google. I say apparently because it is pretty easy to argue that semantic search has been around for a long time and that the article is discussing fairly predictable consequences. That Google is looking for active ways to keep people on their site and away from the sites of competitors like Facebook, for example, is interesting. Interesting, mostly, for the effect it could have on the look of search result pages. Eye-tracking research already tells us how important such visual changes can be and SEO strategies will need to be ready to react. About a month ago the Fingal Business Network put on an event, Getting PR Through Social Media. As a follow up, I prepared a list of Irish Media and Journalists on Twitter for you to use in your own media outreach (included below). The task of attracting natural links and social mentions through content marketing is an important part of modern SEO. We talk a lot about working to identify markets for your content. In large part, that means identifying individuals who control links or who are active on social networks. Traditional media and bloggers both come slap bang into the middle of that process. So PR and SEO are fields that have been getting closer over the last few years. Having an experienced PR professional discuss using social media to identify and reach out to journalists and bloggers is right up my street. Before I get to the list, I should say that this is not some target list for you to spam. It is an opportunity to listen and engage with media relevant to what you do. Some of those listed here barely use Twitter at all or only to spew out intro’s to their stories. Others are openly engaged in discussion and some are actively soliciting story ideas in their profile description. All the usual social media warnings apply. You should probably listen more than you talk. I have included all the media types I could find. Only some of them will be relevant to what you do. Only some will say things that interest you. Only some will cover areas where your expertise might someday add something. Hopefully the list can provide a starting point and help you find the journalists that are relevant to your message. You can find out what they have to say, identify what kinds of stories they cover and perhaps figure out how you could help them. If what they talk about interests you, you can comment and start a relationship.